If your scaredy cat makes no socialisation progress, despite months of effort following the step-by-step guide, genetics may be at work. Getting them adopted may be more difficult and you may need to consider other adoption options. A cat’s personality is partly affected by their upbringing and partly by their genetics. Your scaredy cat may have been hit with a massive dose of scaredy genes from their parents. Their Dad, especially, has a big impact on their friendliness (even though he rarely helps raise them!). If your cat is more along the lines of a ‘true feral’ cat, as opposed to a stray who hasn’t had much to do with humans, socialising them will take longer. They may never enjoy being touched. However, if they’re from an urban or semi-urban area, where human perks like water, shelter, rodents and food waste were available, they’re likely to still be comfortable living in a home. The tricky part will be finding a suitable adopter. What about TNR for super scaredies? In many countries, Trap-Neuter-Return (TNR) is widely practised. This involves trapping a cat, desexing them, then returning them to their outside home. It’s a proven way to reduce stray cat numbers over time, while meeting the community’s standards that cats aren’t harmed. If your super scaredy cat could speak, they may well tell you that they’d like to ‘be TNR’d’. TNR is yet to be fully embraced in Australia; it has even been claimed that TNR won’t work here because ‘Australia is different’. TNR is most commonly used in NSW, with support from local councils. New research by the University of Queensland has found TNR to be an effective and humane way of reducing stray cat numbers over time. 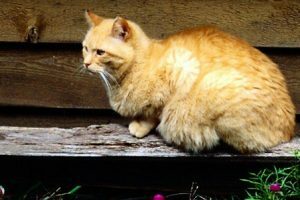 The researchers have recommended that TNR be formally legalised in Australia and that urban stray cats be given legislative protection from being classed as ‘feral cats’. We hope that all Australian governments will soon use TNR more widely, for cats, for wildlife and for people. Adopt them out as a working cat or barn cat. We haven’t found a sure-fire way to do this. It seems to be largely luck for an altruistic Mother Theresa-type adopter to notice your cat. Most scaredy cats get on brilliantly with other cats and may suit a kind-hearted person who wants a cat friend for their existing cat. Melbourne’s Save a Dog Scheme, which strives to be no kill, offers an ‘Unconditional Love‘ program for ‘untouchables’. If you have suggestions on marketing super scaredies for adoption, please contact us! Sanctuarying them means that they’ll live in your home just like a ‘normal cat’, but you won’t expect them to want to be touched or be your best friend. They will quite possibly still want to be around you (especially at meal times! ), just without the icky touching. We have had cats like this choose to sleep on our bed, rub against our legs and greet us at the front door. But they still don’t like being touched by human hands. A wand? Yes. A hand? No, unless they’re looking the other way. 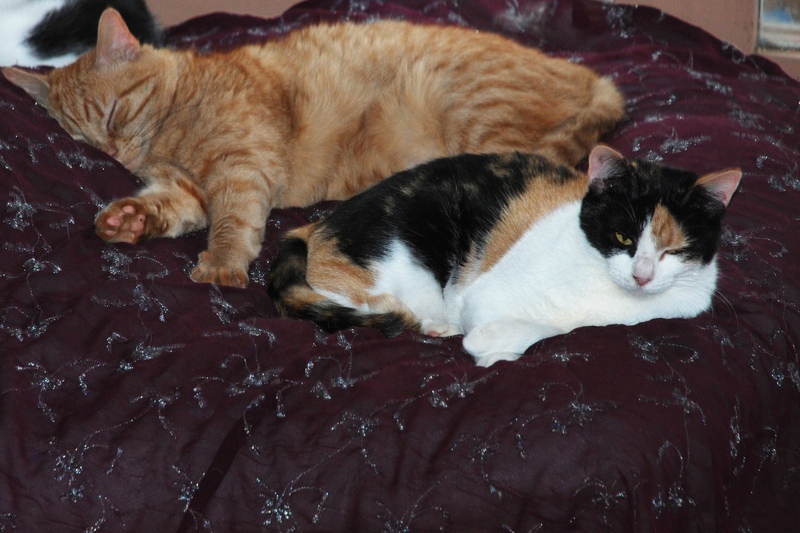 They usually have no shortage of cat friends and will often sleep curled up with another cat. We also regularly hear of people who have taken in a stray cat who they didn’t expect anything from. It may take years, but they often become ‘normal’ cats. A working cat, or barn cat, is a cat who provides a service – natural rodent control – in return for regular meals and a roof over their head. Farms, rural properties, horse properties, grain stores, warehouses and industrial areas can all benefit from adopting a working cat. The cat’s job By day, the cat does their own thing. By night, they patrol the property and keep rodents at bay, avoiding the need for traps and harmful pesticides. If there’s a cat curfew in the area, they’ll need to be inside at night. The adopter’s job In exchange for the cat’s service, the adopter provides food, water, shelter and health care when needed, just like for a ‘house cat’. The only difference is that they don’t expect smooches. Over time, the kitty may very well become a ‘normal cat’. We once visited a grain store that had a mini human bed on the counter, graced with a sleeping cat. The cat was originally ‘feral’ and they got her solely to keep rodents out of the food and hay. They never thought she would want to be be near them. Now, she’s a sales assistant, keeping an eye on things at the counter. To our knowledge, there’s no ‘system’ in Australia to match working cats with suitable properties that need them. Personal approaches to warehouses, factories, industrial areas, horse clubs, farms and grain stores may work best. You’ll probably still need a good photo and some info about your kitty. Even though your working cat won’t be living in a home, it’s still important that they’re cared for once adopted. So you still need to find out about the person’s commitment to the cat, what they’ll do if the cat gets sick or injured, who will care for them when they go away, what will happen if they move etc. We recommend using your usual adoption agreement, perhaps modified, and offering to trap the cat when they need to see a vet. People value what they pay for. We therefore recommend not offering your kitty for free. ‘Free to good home’ animals often receive anything but a good home. Instead, consider charging a reduced adoption fee or ask for a donation. SUPER IMPORTANT!! Your cat needs to be confined at their new home for about a month before they start their Chief Rodent Controller job. Why? Cats are very territorial. Some people even say that cats are more closely bonded to their territory than their human! Cats need to become familiar with their new territory – its sights, sounds, smells, other animals, buildings, roads etc – and adopt it as theirs. Without this confinement period, your cat may very well move to another property or even try to make their way back to your place. Territory means so much to cats that, when they move house with their loving family, it’s not uncommon for them to make their way back to their previous home, if they’re not kept inside for long enough. There are examples where they seem to have covered very large distances (2,000 miles!) and even find their person who’s moved to a new home without them. Terrible things could happen to your cat if they move to another property or try to get back to you. And you’ll have a very annoyed adopter. Create a sanctuary space with a view Set them up in either a crate or small. comfortable room on the new property. This will be their sanctuary space. Provide everything you did when they first came to you. Make sure they can see out windows and hear the birds, machinery, whatever. Give them the essentials in this space Provide food, water, scratching post, litter tray and a bed in their sanctuary space. Wait for at least a month After about a month in their sanctuary space (more if possible), allow them to explore more of the property. Give meals in the sanctuary space for another month Continue providing food in their sanctuary space for another month. If you need to change their meal location, do it very gradually – a couple of feet a night. We will be developing a working cat flier. You’ll be welcome to download it and modify it to promote your cat. An American humane society is having great success with its Cats at Work program. They adopt out cats in two’s or three’s to people who want help with managing rats. The cats are acclimatised to their new homes in crates, before being let out to do what cats do so well – managing rodents. In 2016, there were 500 cats in the program and a two to four week waiting list. One factory hasn’t had a single rat since employing the cats.